Keurig Kold Review: Should you give it The Cold Shoulder? 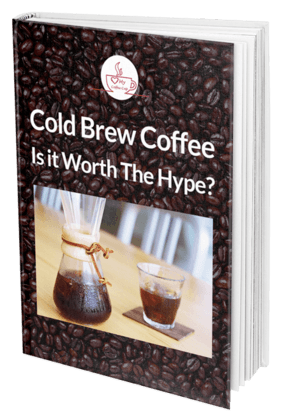 Keurig Kold Review: Should you give it The Cold Shoulder? 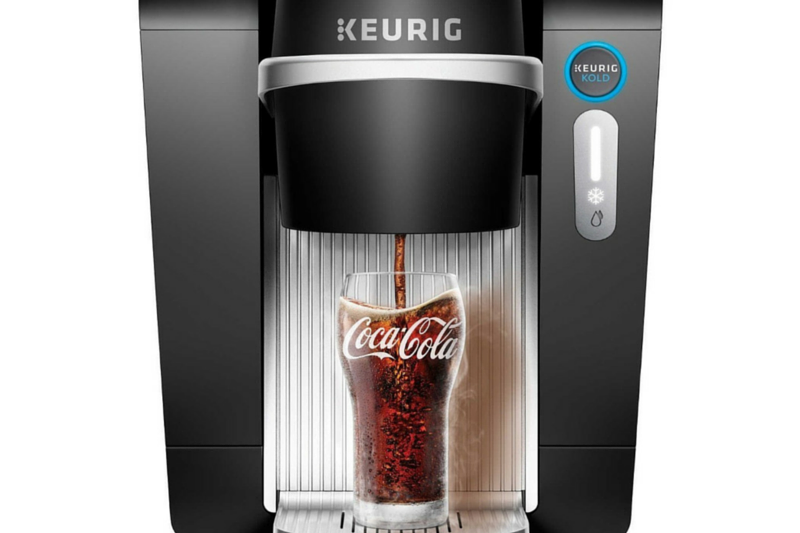 » Keurig Kold Review: Should you give it The Cold Shoulder? Being able to make a cold soda at the push of a button; that’s the universal dream! We’re pretty sure it’s one of the UN’s Millennium Development Goals. And Keurig has stepped up to the play to make it all a reality. This coffee maker behemoth is known for its ultra-convenient pod machines, which allow you to brew a single-serve cup of joe in under half a minute. Now, they plan on taking over the world of freshly-made cold beverages with their newest contraption: the Keurig 119011 KOLD Drinkmaker. Oh, this machine is a beast! At 19.2 x 12 x 14.9 inches and weighing a hefty 23 pounds, it’s almost twice the size of a Keurig coffee maker. But it happens to be pretty similar in design to its cousin there. 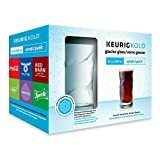 The Kold has the same glowing LED indicator that clues you in to the status of the machine, uses pods to churn out your favorite beverage and comes with a pretty sizeable 52oz water reservoir. To give credit where it’s due, Kold is quite the stunner! It has clean lines, looks particularly good in white and can instantly spruce up any kitchen; if you can find enough room to accommodate all that junk in its trunk, that is. To be fair, the Kold isn’t the first machine to promise tantalizing soda-goodness at the touch of a button. There are others like SodaStream that already beat it to the punch. What this newest entrant tries to do, is make the entire process a bit smoother. See, the likes of SodaStream need a carbon dioxide canister to create the fizz that we all love and worship. But this introduces the whole hassle of refrigeration and having to replace it once in a while; which everyone almost forgets! So the nerds at Keurig sat down, had a nice brainstorming session, and came up with the pretty impressive Kold pods. They include flavoring syrup and Karbonator beads, which release CO2 on contact with water, eliminating the need for bulky canisters. VIDEO: Make Coca-Cola At Home? The first time you get the machine going, you’ll have to wait for about 2 hours for it to chill down. After the agonizing wait is over, all you need to do is fill the water reservoir, shove-down one of the pods and start the brewing process. But be careful about inserting those pods though! You must ensure you first peel off the freshness seal. If you fail to do so, you end up wasting the whole thing and slowly crying at a corner in your kitchen. Now, this is where the Kold begins to lose its luster. We are all huge fans of Keurig’s pod coffee machines because of one main thing: convenience. You just need to wait for 30 seconds and you have a nice piping-hot cup of java. But with the Kold, you have to wait for thrice as long; a whole 90 seconds. Compare that to how long it takes you to grab a can of coke from your fridge. In those 90 seconds, it only manages to make an 8oz serving of whichever cold beverage. So if you’re used to knocking back a whole 12-pack in less than 2 minutes, you’ll find the Keurig painfully slow. Also, you may need to reassess your lifestyle choices. 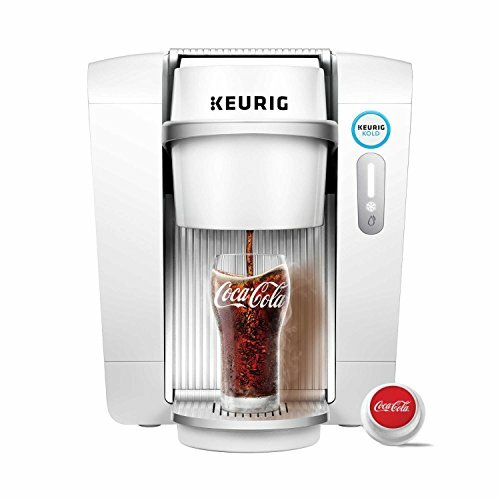 Well, Keurig partnered with Coca Cola to design the pods for Classic Coke, Diet Coke, Fanta and Sprite. But if you were hoping to get an exact replica of your favorite drink, sorry, you’re out of luck. While the beverages actually have a nice fizz to them, they don’t taste the same as what you’d get from a can or soda fountain. If you’re one of those die-hard pop lovers who promise to burn down the Coca Cola headquarters every time they tweak with the flavor, then the taste won’t work for you. But if you’re not too particular about matching an exact flavor, then you might enjoy the results. The Kold offers a number of flavor varieties that include Dr. Pepper, its own craft sodas, iced teas, cocktail mixers, seltzers and flavored water. The cocktail mixers are borderline amazing, and all the beverages are served at a refreshing 39F; perfect for those sweltering afternoons. Break out your calculators, people; we’re about to do some arithmetic. The numbers are a bit mind-boggling so prepare yourself for quite a bit of gasping. Let’s begin with the price. Having this baby sit in your kitchen will cost you about $360. But the numbers just get crazier from here. A pack of 4 pods will cost you $5. That boils down to about $1.25 per pod. Now, remember, each pod only makes one 8oz glass. So that’s $1.25 for just 8 ounces of coke! To put that into context, you can get a 12-pack of coke of 12oz cans for about $5. That equates to $1.25 for 36 ounces. Simply put, the Kold will cost you over 4 times what you spend on sodas. Innovative technology that is pretty interesting to watch. Has an exciting variety of flavors available. Beverages are perfectly chilled every time. Takes too long to churn out a single glass. Can't make many glasses at a go. The cost makes it impractical. 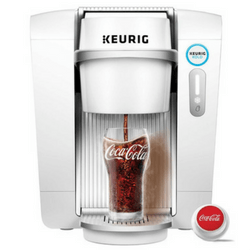 We really wanted to love the Keurig Kold; we really did. But this machine just isn’t practical. It takes too long to do its thing, produces very little at a go, is way too big, and just too expensive to make sense. 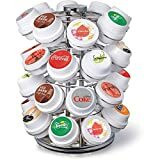 But if Keurig can find a way to bring down the cost of the pods, make things a lot snappier and maybe make the soda flavors properly mimic what’s in the stores, the Kold might just have a shot. Before then, well, the dream continues! SodaStream was one of the first to realize that most people can kill for a can of soda, and decided to capitalize on this. 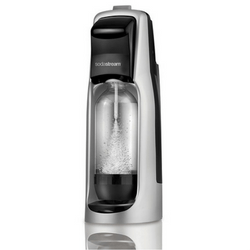 Going for about $100, the Sodastream Fountain Jet Soda Maker is one of their latest iterations and boy is it sleek! It measures 14.4 x 8 x 11.8 inches, so it easily fits on your counter-top, and doesn’t need any batteries or electricity to operate. How very Amish of you SodaStream. This machine simply works by hooking up a canister full of CO2, attaching one of the carbonating bottles, pressing a button, and presto! You should get a glass of fizzy drink in about half a minute. Over 60 varieties of flavoring available. Takes up little counter space. Refilling the CO2 can be a bit of a hassle. Some of the flavors don’t taste that great. 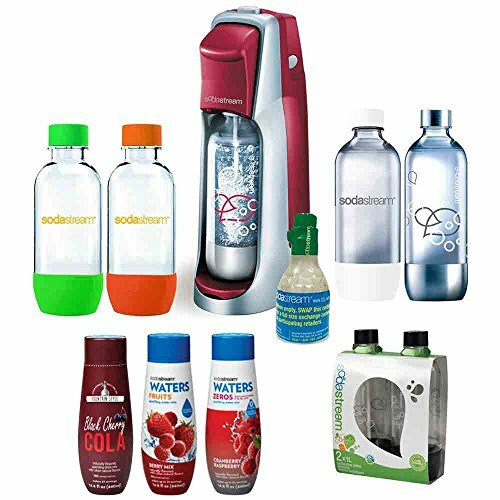 If you can’t function without carbonated drinks, then the Sodastream Fountain Jet Soda Maker could actually come in handy. Considering the cost of refilling a 60-liter CO2 canister is about $15, and a $6 bottle of flavoring can make close to 50 liters, you could save some change; not too much though. But while it does make pretty bang-on tonic water and seltzers, don’t expect to replicate the Cokes and Pepsi's of the world; you’ll be sorely disappointed. But if it’s purely fizz you’re after, then the SodaStream is a pretty cost-effective way to chase it.